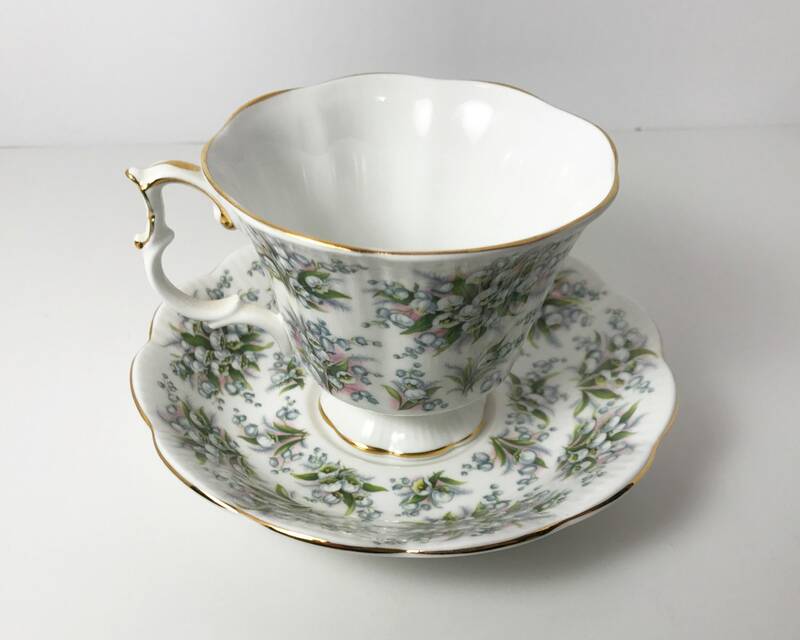 Royal Albert English bone china is a highly sought after collectible, and this cup and saucer from their series "Nell Gywnne" entitled "Lambeth" is a lovely addition to any teacup collection. 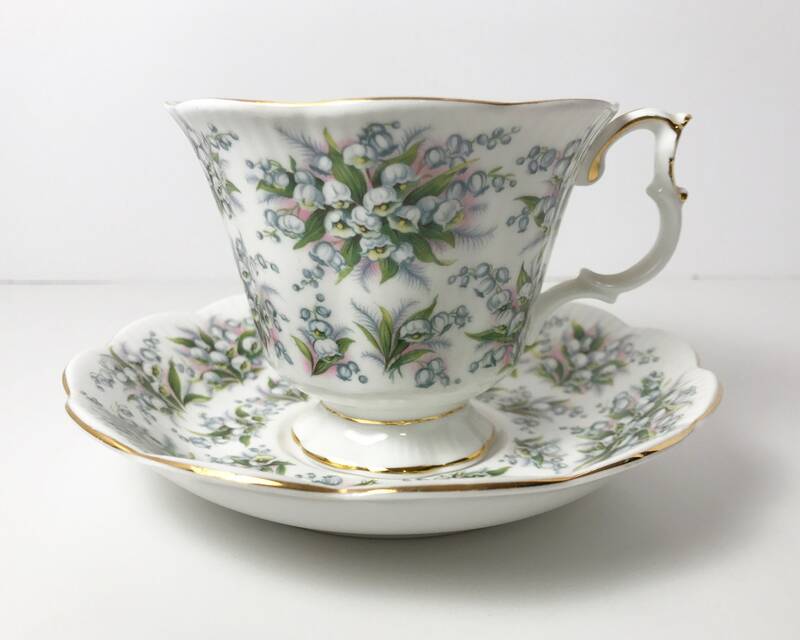 This teacup and saucer features a lovely floral design of charming lily of the valley, typical of Royal Albert's best patterns. 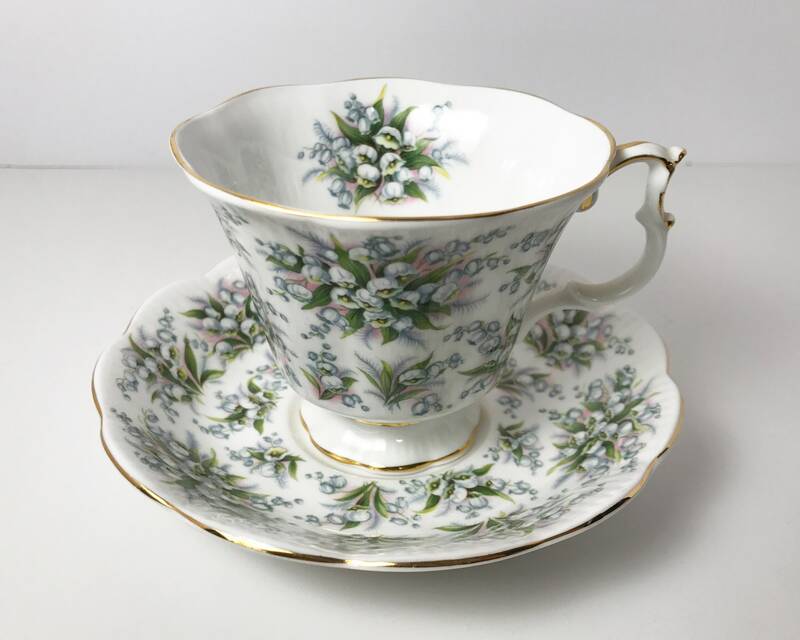 The series is named after the mistress of King Charles II "pretty Nell", whose rag to riches story made her something of a Cinderella folk hero. 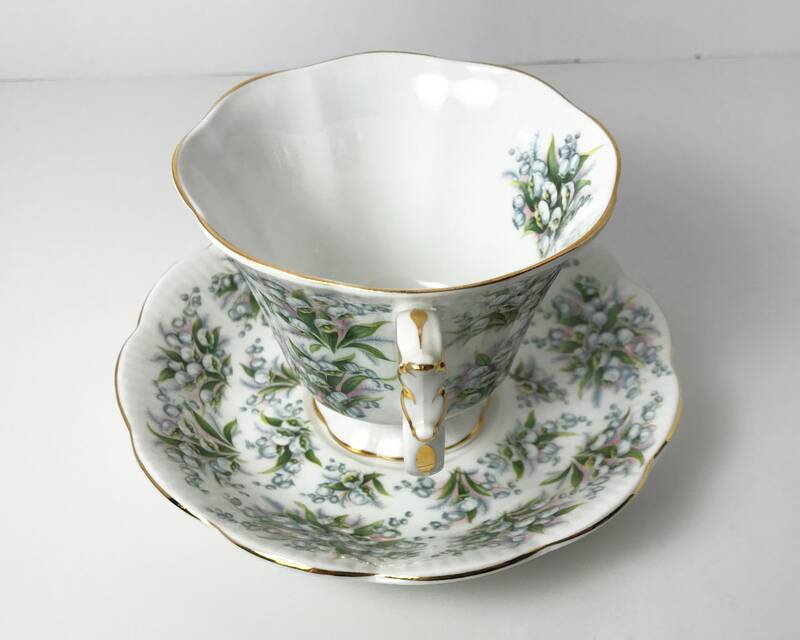 This set is in the Gainsborough cup shape. 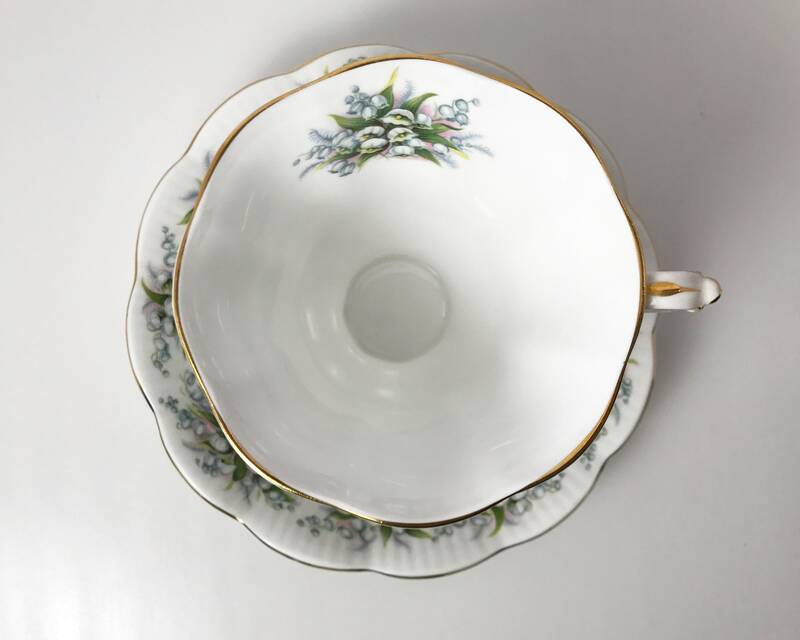 Both tea cup and saucer have gold edging, and the rims are scalloped. 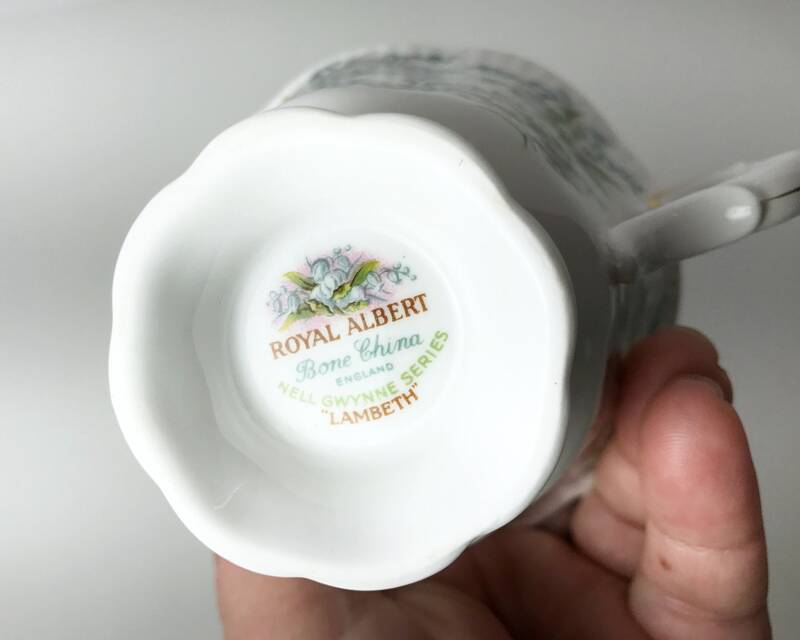 Royal Albert is renowned for its fine English bone china, and was founded in 1896 at the Albert Works in Stoke-on-Trent. 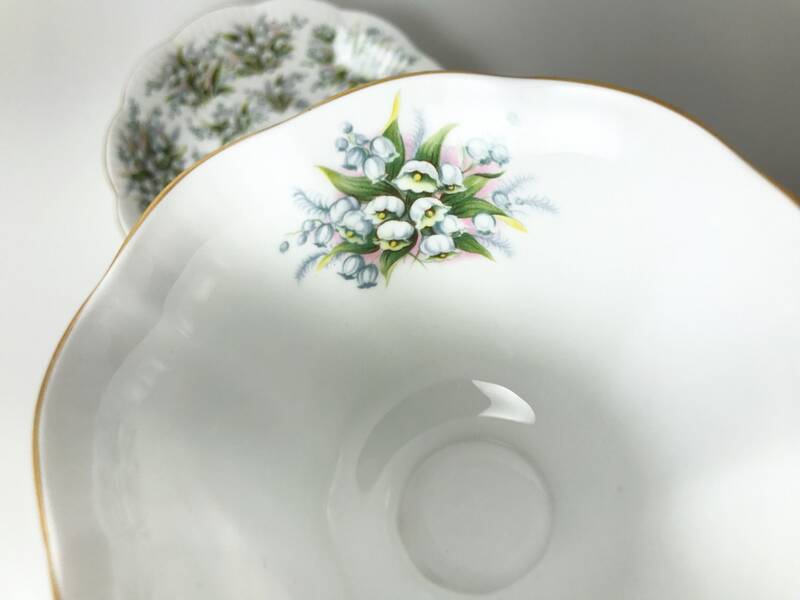 They quickly became popular for their rich floral patterns. 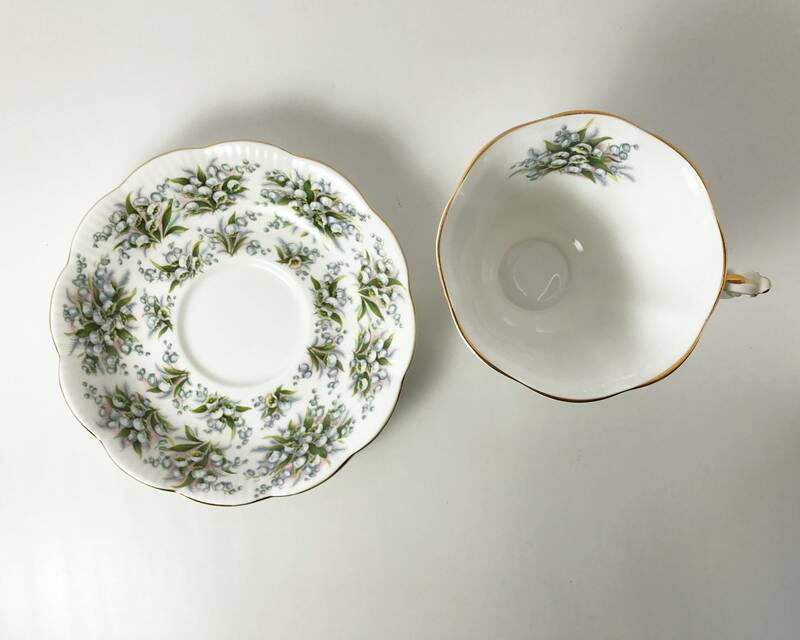 CONDITION: Excellent with no chips, nicks, or cracks. 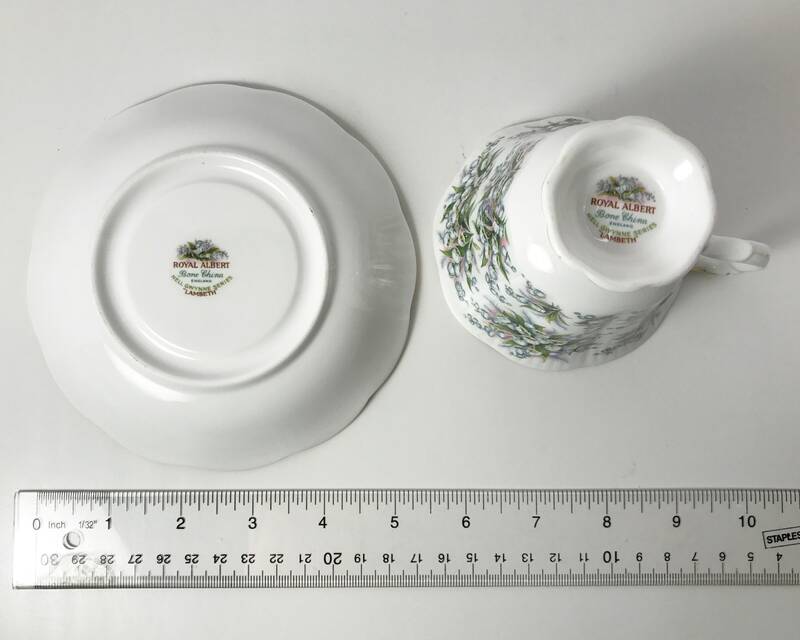 The saucer is 5 1/2 inches wide and the cup is 3 inches tall. 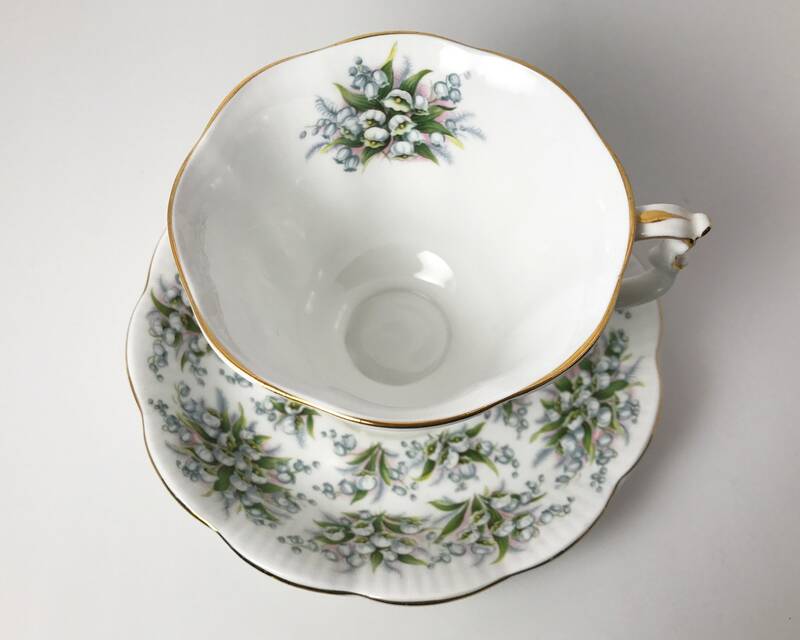 Please examine the photos as I have tried to include all pertinent details.